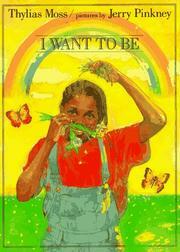 This young girl is asked, What do you want to be? She spends all day going around her town imagining all the things she wants to be. Finally, she figures it out. She wants to do everything. Moss, Thylias, “I want to be,” Children's Picture Book Database at Miami University, accessed April 21, 2019, https://dlp.lib.miamioh.edu/picturebook/items/show/10177.